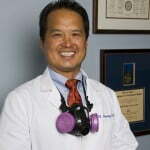 Dr. Hung K. Cheung, MD, MPH, FACOEM, Founder and President of Cogency, was recently named the Course and Rotation Director, Occupational and Environmental Medicine Residency Program, University of Pennsylvania Perelman School of Medicine. Located in Philadelphia, Pennsylvania, the Occupational and Environmental Medicine Residency Program is dedicated to raising practicum residency training in Occupational Medicine to a new level through educational innovation and teaching excellence. The Occupational Medicine Residency at the University of Pennsylvania is a competency based, two-year, ACGME accredited, NIOSH and HRSA-supported practicum residency program.